Introducing Toolshed Music, the new go-to boutique sound house in the heart of London's West End where creative magic meets tech wizardry. 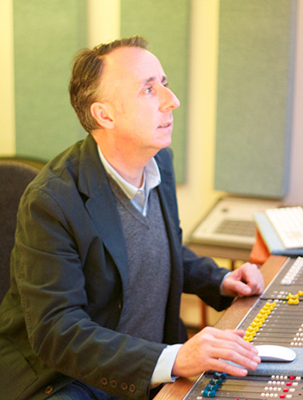 Founded by super-innovative writer/producers Adrian Meehan and Mike Blackwell in 2012, Toolshed Music is a fully equipped creative music composition and sound design studio working in film/TV, advertising, art, music, new media and other projects across various genres. 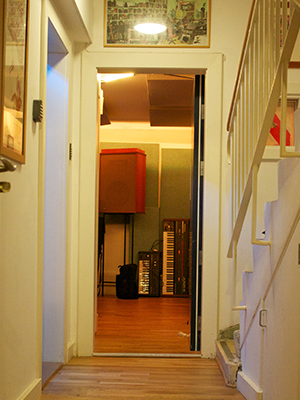 In late 2011, they gutted and renovated a run-down ex-hostess bar in Great Windmill Street, filling the sound-proofed studio space with a mix of premium, reclaimed and upcycled materials and equipment ranging from state of the art to vintage: top of the range mics and mic preamps, an impressive array of vintage synths and FX pedals, an acoustic piano, drums, and percussion, high end electronic drums, and a sizeable collection of quirky instruments from theremins and kalimbas to Irish harps. Serving all areas of sound design, from dialogue recording to pop productions and FX, the duo offer top notch skills gleaned from years of experience working on a diversity of projects. 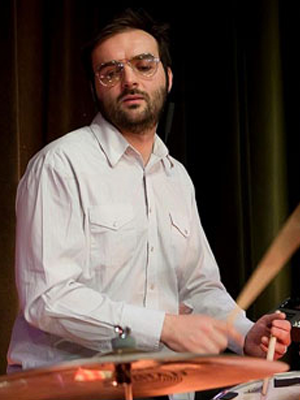 Adrian started off as a drummer in the band Jocasta and went on to establish a successful session career working with artists including Ray Davies of The Kinks, Baby Bird and The Selector, and continues his role as Musical Director for The Cuban Brothers. More recently, Adrian has produced tracks for Datarock, Ebony Bones and Karin Park’s latest albums. Adrian achieved success with his own project The Geezers of Nazareth for which he co-wrote and co-produced, signing a major publishing and record deal to much acclaim. He has composed and produced the score for The Other Half, starring Danny Dyer and Vinnie Jones, which won the Portuguese Audience Award. Mike ran record labels Rodeo Meat and Sunglasses After Dark records ( I Monster, Jack Knife Lee) during the late '90s, producing EPs for The laughing Windows on Andy Votel's Battered Ornaments label, and the Surf Mix Completion CD with Cherrystones. 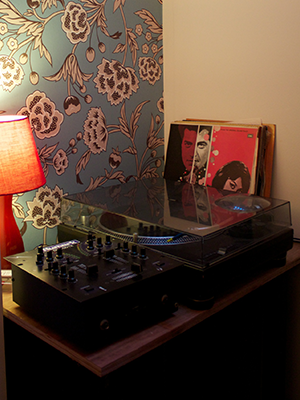 He has remixed tracks by Peter, Borne and John, The Shortwave Set and Soho Dolls. As well as DJing at Camden's Lock Tavern and South Pacific London, Mike has helmed the decks at festivals from Glastonbury (Lost Vagueness) to The Big Chill. Corporate clients include JBWT, AMV and BBH. Toolshed Music has worked extensively on a variety of prestigious projects including worldwide campaigns for Mercedes, Citroen, Channel 5, Nike, Kit Kat and acted as music supervisors on Everywhere and Nowhere a film by Menhaj Huda. As well as offering bespoke sound design studio services, Toolshed Music will also be putting on a regular small-scale creative event and sonic gathering, showcasing cutting-edge live music and sound FX presentations to classic films and DJing soundtracks. Watch this space. Designed, Created and Coded by andycdesign.com - Made with 100% Pure Love!